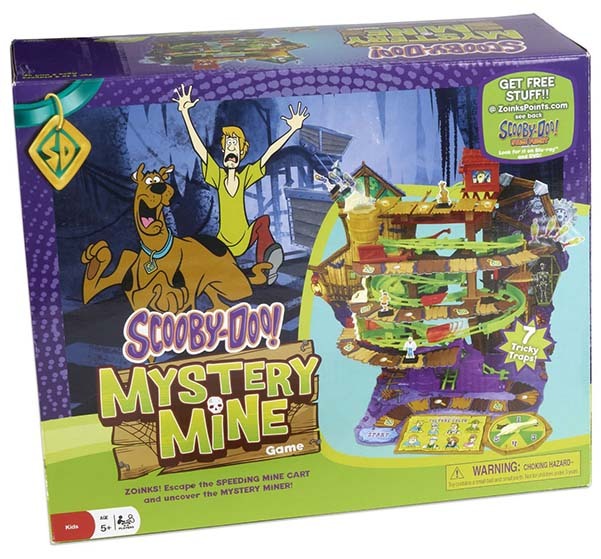 Spin the spinner and move up the path of the mystery mine. Along the way get clues about who is trying to keep you away. Eight exciting traps can get activated at any time, sending you flying back. The fall away bridge, the falling staircase, swinging gate, web flinger and more. Get to the top and reveal who the monster really is.